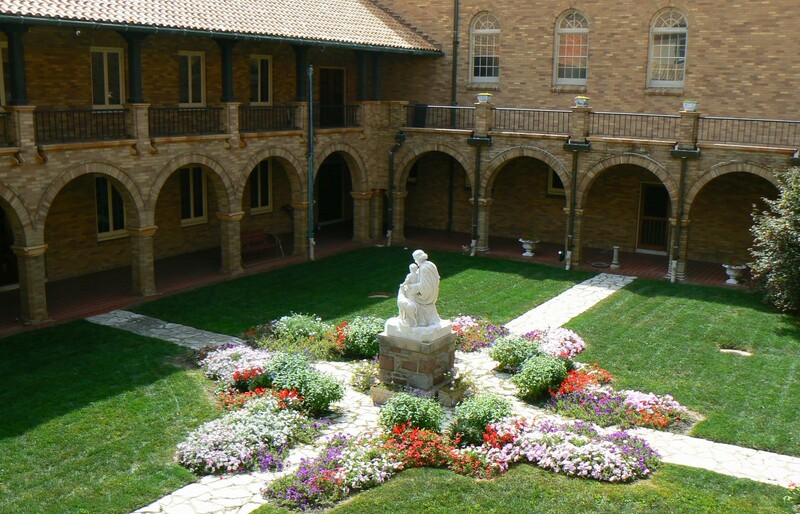 Welcome to the Carmel of Saint Joseph! The presence of the Discalced Carmelite Nuns of the Blessed Virgin Mary of Mount Carmel came to Saint Louis, Missouri in 1863. Our way of life first came into existence on Mount Carmel in Palestine in the 12th century. Our spiritual father, St. Elijah, lived a life of solitude on the mountain of Carmel which has always been revered as a ‘holy place’. The Carmelite Order started with a group of hermits who wished to lead a life like that of Elijah, the solitary one par excellence and the prototype of all hermits called to live a life of prayer. The first Carmelites, imbued with the mystical space of Mount Carmel, became evident when around 1235 the advancing Saracens forced them to leave Palestine. This forced departure was a spiritual challenge for: “How can you remain a Carmelite apart from Mount Carmel? Their answer was: “In whatever place you live, draw away from the finite and enter into the infinite space which is God. Turn every place into a Mount Carmel”. Thus, Carmelites living away from Mt. Carmel rightly “insist on being called Carmelite” for the reason that where ever Carmelites live there is Mount Carmel. Every monastery becomes a holy place, insofar as those living there consecrate themselves to a very lively, fervent, and active desire for God and for holiness. With Elijah their hope is to live the Carmelite motto: “With zeal have I been zealous for the Lord God of Hosts”. It was during this time that the hermits asked St. Albert of Jerusalem to give them a simple formula of life which is now known as the Rule of St. Albert. Carmelites throughout the world still retain and live by this Rule. And so it is that today, in the 21st century, the Discalced Carmelite Nuns of the Carmel of St. Joseph continue to live this way of life, which was begun on Mount Carmel and reformed by Saint Teresa of Avila in the 16th century. The Nuns called to be contemplatives, absorbed in God alone, are also called to be at the service of the Church and all peoples. The ascent of Mount Carmel is a call to face the challenge of prophecy and contemplation. Drinking from the spring of Elijah on Mt. Carmel implies following Christ, and demands keeping your feet on the ground while at the same time always reaching for the elusive heights of the mountain, often hidden from view. They walk in faith, hope and love of God as did Mary and all the Saints who have gone before them.